Why is it important to get a second opinion when you’re facing a serious medical diagnosis? When you make an important decision, like buying a home, writing a will, or investing your money, you do research to gather the information you need to make an educated, informed choice. While you can gather some of that information on your own, most of us choose to work with a trusted adviser who can provide objective advice and the perspective of someone who has experience in the field, like an attorney, financial adviser, or real estate professional. Isn’t your health equally important? The same objective advice and careful research should go into making complex medical decisions. Here’s why. Medical diagnoses and decisions are made by physicians on the basis of selective human analysis. When a pathologist analyzes a tissue sample or a radiologist interprets an image, for example, he or she is providing an opinion about what the diagnostic test indicates. Frequently, there can be two or more medically valid positions based on a single tissue sample or image. One recent study found that breast cancer pathology samples re-analyzed by pathologists resulted in a different diagnosis than the original analysis 20% of the time. That new analysis could, and frequently does, lead to a different treatment plan. It isn’t that the first pathologist’s interpretation was incorrect. The new diagnosis can be the result of a different approach, outlook or body of experience that the second pathologist possesses. A second opinion is important because, diagnostically, if you do not get a full understanding of the possibilities, you are not going to go through the process that allows you to make a fully educated decision. If there is a surgical treatment for your condition and you only consult with a surgeon, you will most likely only be offered the option of surgery, when, in fact, a non-surgical treatment or radiation may all result in an equally good outcome. Another reason why it’s wise to seek a second opinion is that it’s difficult for any one physician to be absolutely up-to-date on new diagnostic and treatment options, clinical trials and other information that can affect their clinical decisions. Getting either a confirmation of the original diagnosis or a new diagnosis through a second opinion can also help to ensure that you are receiving the right treatment from the start, which can have a tremendous impact on the outcome of your treatment. 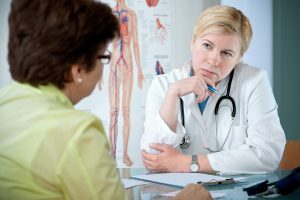 When you’re facing a complex, non -emergency medical decision like joint replacement, a cancer diagnosis, or a complex surgical procedure, you should take the time to get objective, thoughtful second opinions from physicians with the highest level of expertise in all the appropriate disciplines. You owe it to yourself to be fully educated and armed with objective information that can help you make your decision. A person who goes to the doctor with back pain and has an abnormal MRI, for example, could get a treatment plan that includes surgery or physical therapy or acupuncture and exercise. All of these options could be valid. Having this information in hand can help you go down the treatment path that is most consistent with what you’d prefer, like avoiding surgery. There is risk inherent in any type of medical procedure and crises happen when you least expect them. That’s why you should make sure you have the right diagnosis, treatment approach and most appropriate physician. The best way to ensure you have those key elements in place is to get a second opinion.